The benefits of meditation are extraordinary, and have been well-documented by science over the last 100 years. In this time, over 1,000 research studies have proven that meditation is an effective way to naturally improve health and wellbeing. Did you know that people who meditate every day are happier than those who don't? They are also mentally and physically healthier, and live longer. And get this, some insurance companies even offer lower premiums to meditators on the basis that they are less likely to get sick! Did you know that meditators' minds are sharper, and their problem-solving abilities are better? This is the reason that so many high-powered executives and CEOs of Fortune 500 companies meditate each day; it gives them the energy, clarity and awareness they need to succeed. Meditators also have better mental health than the average person; they have less anxiety, anger, depression and fear. This is because meditating releases pleasurable brain chemicals, which make us feel good about life. So Why isn't Everyone Meditating? Well, meditation, in the purist’s sense of the word, is quite hard to achieve. It can take years of daily practice of up to 4-5 hours each day. Meditation is a state of non-attachment, a state of clear seeing in the absolute present. Now, imagine for a moment trying to achieve this state in your life, impossible, right? What with work, friends, family, bills, exercise…etc. Moreover, some people just don’t take well to meditation; they get bored and frustrated at the time it takes to notice any significant change, and find it hard to concentrate and detach from the physical world. But what people don’t realize is that in the modern-day one doesn't have to sit in a forest or temple like a zen monk to find mental spaciousness and well being. In fact, you can achieve the same benefits as a zen monk by using a natural science that simulates the impact deep meditation has on the mind, body and soul. This science is called binaural beats. 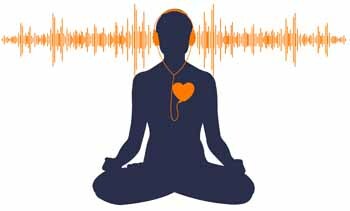 Meditating with binaural beats provides you with the same benefits as hours of deep meditation, except without having to practice meditation like a zen monk. Millions of people all over the world are using binaural beats to not just meditate but to target and improve key areas of personal development and health and wellbeing. Here are some of the core benefits of binaural beats meditation. 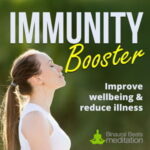 Increased mental clarity, focus and concentration. Cure depression & eliminate anger. By using binaural beats to meditate, you can begin receiving the benefits of meditation in days instead of years. Best of all, there’s no need to learn any mind tricks or read any mantras; you don't even need to sit in the meditation position. All you have to do is relax and listen to your recording and let the music do the rest. Binaural beats music is versatile in that the technology is able to target different brain states, going beyond meditation, relaxation and stress release and providing a platform for increased learning capability, energy, creativity and more. In fact, you can tweak your entire mental and physical performance using this effortless form of meditation. 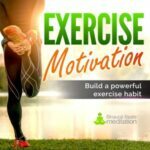 Within just a week of using a variety of binaural beats recordings, you’ll begin experiencing what scientists call “whole brain functioning”, which is the stimulation and creation of new neural pathways between the right and left hemispheres of your brain, which balance the brain and lead you to high-level performance. This means brain reorganization at a higher level, the creation of new neural pathways and increased communication between the left and right hemispheres of the brain, essentially making you more centered and balanced; smarter, calmer, faster and happier. You’ll see a drastic improvement in your learning ability, memory, intuition and creativity, and in your ability to focus, concentrate and think more clearly. You’ll witness significantly lower stress levels, which will lower the amount of harmful brain chemicals (like cortisol) your body produces through stress. You’ll feel remarkable improvements in your mental and emotional health, and take a quantum leap in your self- awareness, confidence, motivation and willingness to innovate and change. You will dramatically increase your production of brain chemicals (such as DHEA and melatonin) related to longevity, well-being and happiness. In a nutshell, you’ll become happier and healthier! 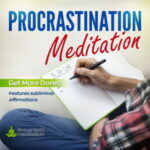 >> Click here to download a sample and try one of our meditations now.